Get Top-level Domain Name for blogger Seo optimization . Blogger.com allow there user to register free Sub-domain name for there blog . Although Free sub domain are considered to be of low Seo importance but relevant Sub-Domain name can counter this drawback and helps in boosting Seo .However People gives less importance to Sub-domain name (Low level domain name ) and prefer easy to remember and short domain name that's the main reason why Seo experts Suggest webmaster to get Top-level domain name for there blog as it is easy to remember and gives professional look to a blog also .Domain name is the first thing , your visitor see , that's why its too important to create Seo friendly domain name (Recommended Top-Level domain name ) . Adding Meta Tags like Meta Description , Meta Keywords ,Meta Author ,Meta Robot to you blogger / blogspot blog is the great way to optimize Your blog Seo ,The main role of the Meta Tags is To describe your blog to the search engine and helps search engine bot to analysis your blogger main keywords ,content and helps listing your blog post Url in search engine related to Searched keyword fast , More relevant your blog related to your searched keyword in search engine More chance of getting it on the first Pages , In simple words the meta description helps Seo in significant way . So Adding meta Tag to your blogger blog is best way to attract organic traffic to your blog . Choose Seo Friendly blogger Template for improving blogger Seo . There are Thousands of free as well as Premium blogger template all over the internet for various categories but out of those , not all of them are Seo friendly .So while selecting template for your blog make sure to check loading time of template as less the template loading time would be better its Seo will be . Check for internal 404 Error in your template using any Website speed test Tool , A Good Seo friendly template should not any 404 internal error link . ( 404 internal error link occurs due to Not Found error it may be image / Url / Script) . Write more and more Content in your blog to Improve blogger Seo . Content is the key factor for the blogger blog Seo and for improving your blogs audience , More content your blog will have more you blog post would be visible in search engine hence improve chances of getting traffic to your blog via search engine . Moreover there are more things to do within content itself to improve your blog content seo that is while writing content in your blog do not just write content for traffic , it must be helpful for your visitor and he must enjoy reading post due to this your blog bouncing rate will be decreased and your blog keyword search engine ranking will not improve . Just writing a content in your blog will not help your blog to get organic traffic ,so while writing content keep optimizing your blog content as you write by keeping keep important points in you mind like Add keywords in your blog post title , use keywords in H1 , H2 ,H3 ,H4 ,H5 Tags in your blog post maintain proper keyword density in your blog post also make sure to add Alt image to your uploaded image in blog post as this will helps in indexing of image in Google image .writing short blog post will not help your blog seo rather your blog keyword ranking related to that post and even overall ranking will goes down so make sure that your blog post must contain at least 300 words . Add labels in your Blogspot blog to Boost Blogger blog Seo . Labeling your blog post is the best way to Organize your blog content , It not only categories your blog Content for easy navigation but it also helps in boasting page view . more your page view would be less your blog bounce rate will be hence improve your search engine ranking and your keywords for particular post will rank higher and Chance of getting direct organic traffic will be increased . There are other benefit of adding label in Blog like adding Keywords in your label Improve your Keywords relevance ,Keyword density and hence improve your blog post Search engine ranking . But make sure not to add non relevance keywords to your blog post label as it Produce negative effect on ( Blogger/blogspot ) blog Seo . Add Search description in your Blogspot blog to Blogger blog Seo . With the new blogger feature know as Search description you can add Custom Search description to a blog post which appear as Short description when your blog post appear in search engine results ,This would help search engine ranking and also helps to improve your website organic traffic but make sure to add relevant Search engine description in less then 25 words as your Blog post custom search description , never uses excess of keywords in your search description as this will have negative effect on Search engine audience . So you must add Search Description in your Blogger blog and its blog post . By default the search description is disabled so you need to enable it then only you may see search description ( How to Add search description in blogger ) under post setting . 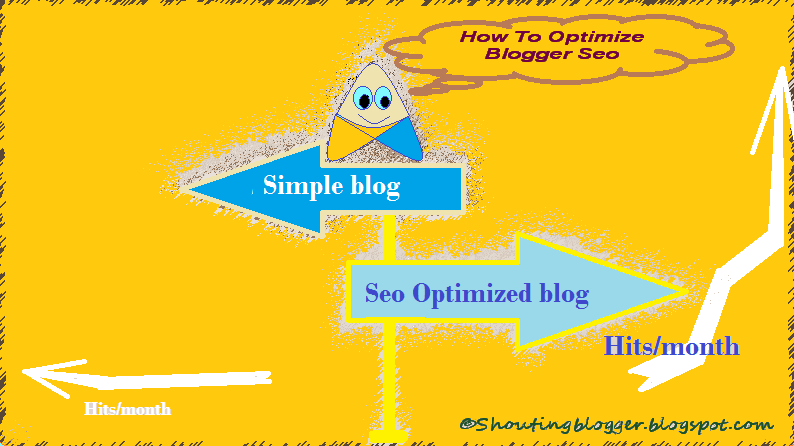 Best way to optimize your blog seo is to reduce your blog's Bounce rate but it hard to reduce bounce rate since it depends on lots of factor like what Content Quality , Landing page etc Still we can Reduce bounce rate by using related blog post widgets . Actually adding related blog widgets helps in boosting your blogger blog page view , more page view your blog have it means your audience stay more on your website due to more Page view , your blogs Bounce rate will be reduced and hence this would help your blog Seo and improves your page rank in search engine . Sitemap in blogger is the collection of blogger post , pages , comments etc for the search engine crawlers to access , Sitemap helps the search engine bot to crawl your website with easy . But its bit difficult for the search engine bot to crawl your blog if your blog sitemap was not submitted to search engine webmaster that's why it is recommended to submit your website to search engine webmaster for fast Blog post indexing .Although you have submitted your blog to Search engine but its not necessary that your blog get indexed in search engine results if you blog have bad Robots.txt , so it is recommended to Create Seo friendly Robots.txt to grant access for the search engine bot to crawl the list of post ,page in search engine . Backlinks plays important role in improving blogger page rank and keyword ranking of blog, But Shady and bad back linking technique can have negative effect on blogger Seo and even some time search engine penalize blog for using tricky cheap spamming back linking techniques that's why you should avoid using this Cheap Tricky back linking methods . Try to work hard on building natural way of back link , however non spamming back link technique are considered as Seo friendly technique that why Seo expert suggest to get natural backlink building technique . 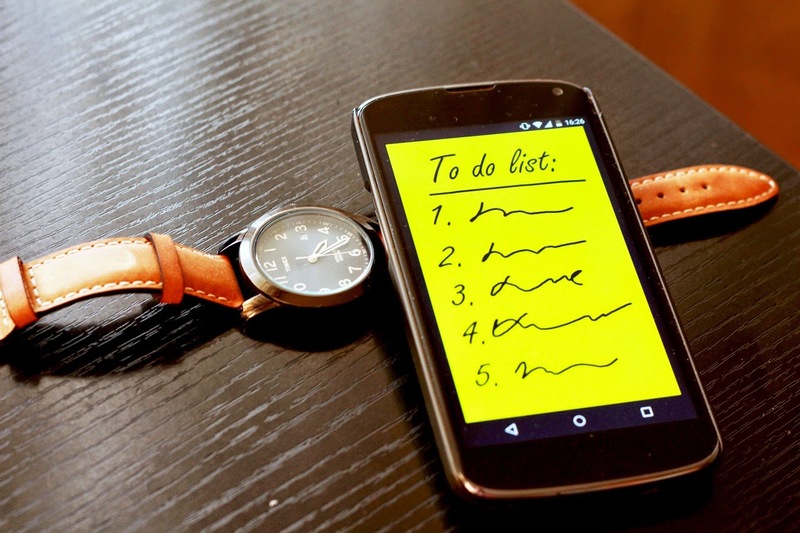 Some Important Blogger Seo Tips . Blogger blog with unique content is considered as seo friendly and have high search engine credibility then blog with Duplicate content even blog with unique content is ranked higher then blog with duplicate content So , you must avoid using.writing any duplicate content in your blog . 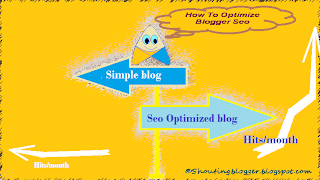 Blogger blog must be updated and enriched with unique content with regular interval of time , Search engine loves fresh and unique content , writing more and more content for your blog will improve your blogpot visibility in search engine and helps your blogger blog Seo to get higher amount of organic traffic . Use Natural Backlink building method for better Blogger Seo ,Using Spamming backlink methods will have negative effect on your blogger blog Seo .So , you must avoid and practice natural and non spamming backlink method . Avoid changing you blog post Tittle , Blog Description , Meta tags too often .